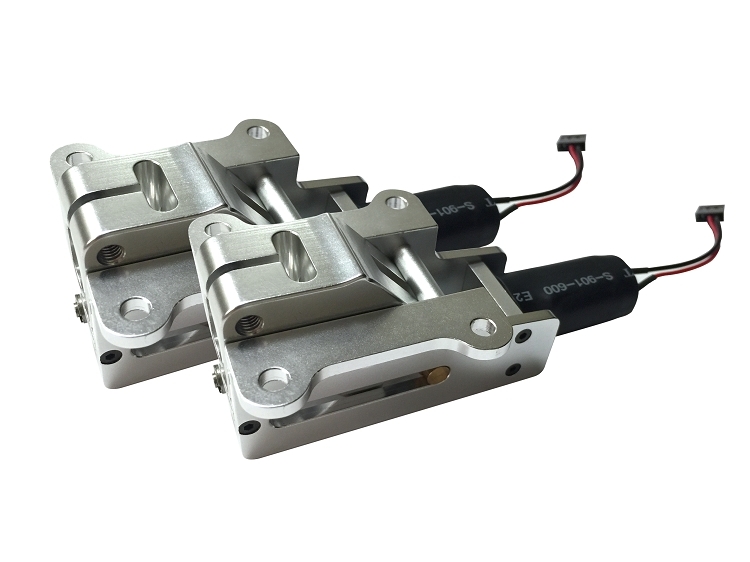 Our new SuperScale Metal Retracts are for planes between the 120 and 180 size range. can throw at them for planes ranging up to 36 pounds. 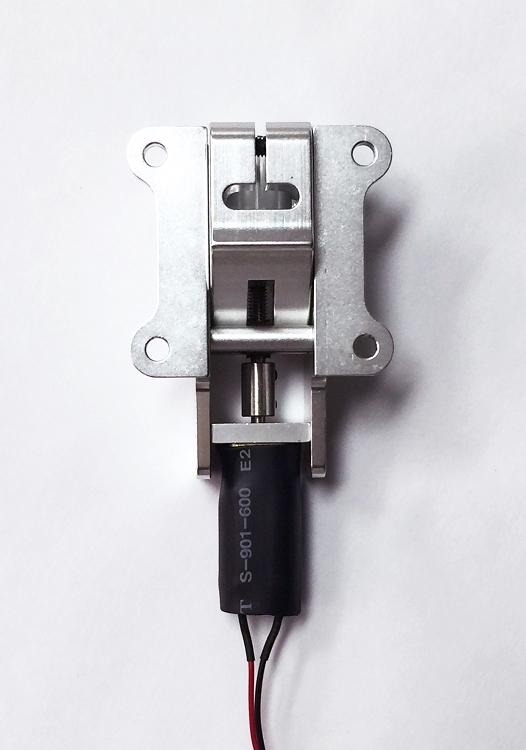 We have these retracts available in 85 and 90 degree as well as a 100 degree. These are special “reverse-style” retracts which allows more room for the oleo strut and wheel in the wheel well section under the wing. 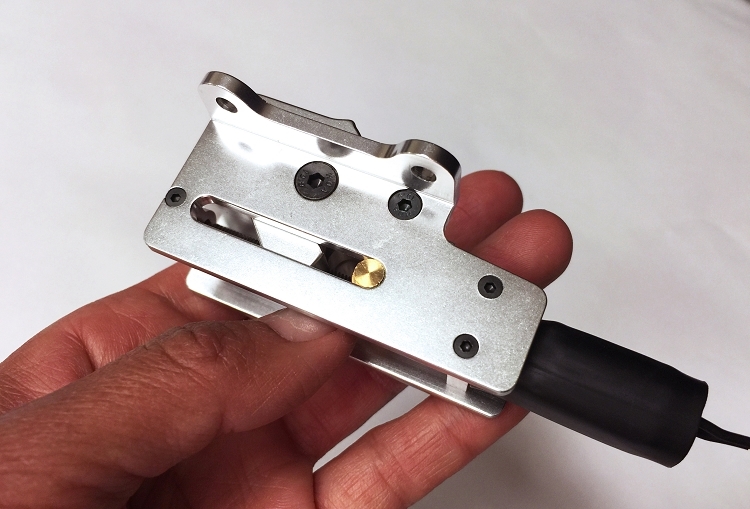 These retracts are ready for 11 mm struts but with the 5 mm adapter (included), you can quickly and easily change to a 5 mm strut if needed for smaller-sized planes (see photos). The voltage range is between 5 and 6 volts. Flexible, durable and dependable. 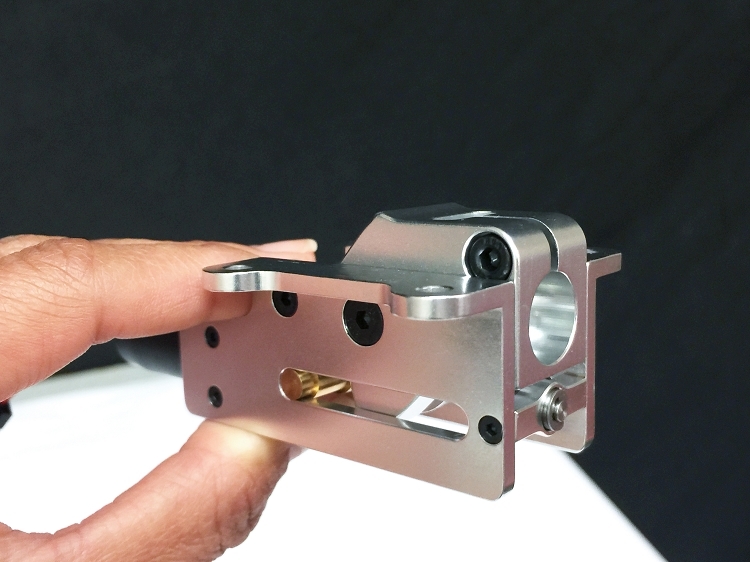 How retracts should be. The struts and wheels shown in the photos above continue the high quality of the retracts. 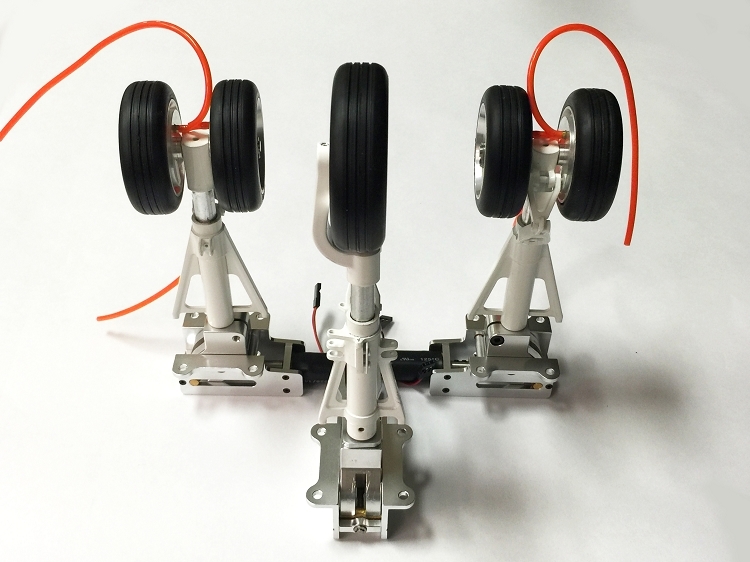 The main wheels are 2.75” and the nose wheel is 2.25”. 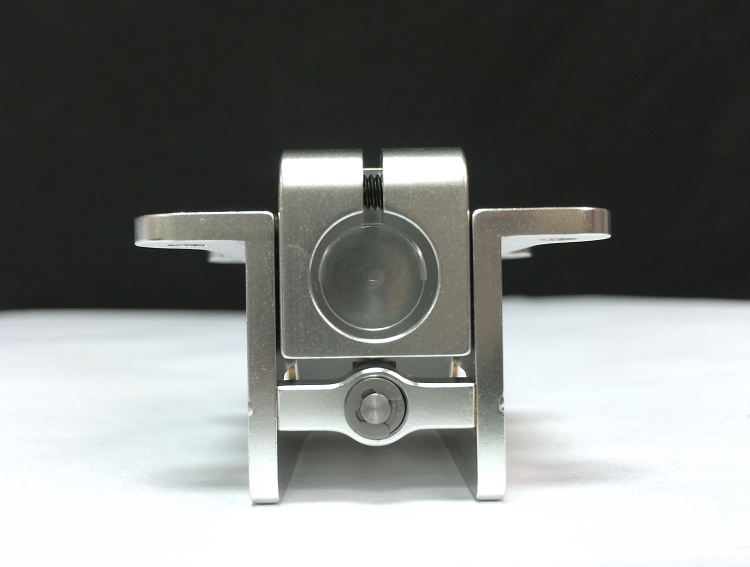 Machined aluminum hubs and high end bearings, a great finishing touch to the retracts and a perfect fit for the Baron!